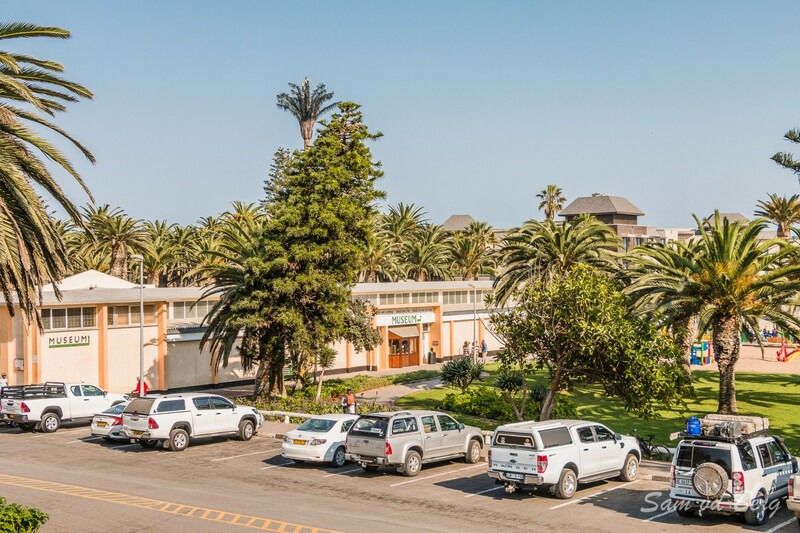 The Swakopmund Museum was founded in 1951 by Dr Alfons Weber and relocated in 1960 to the current site on Swakopmund's Beachfront. 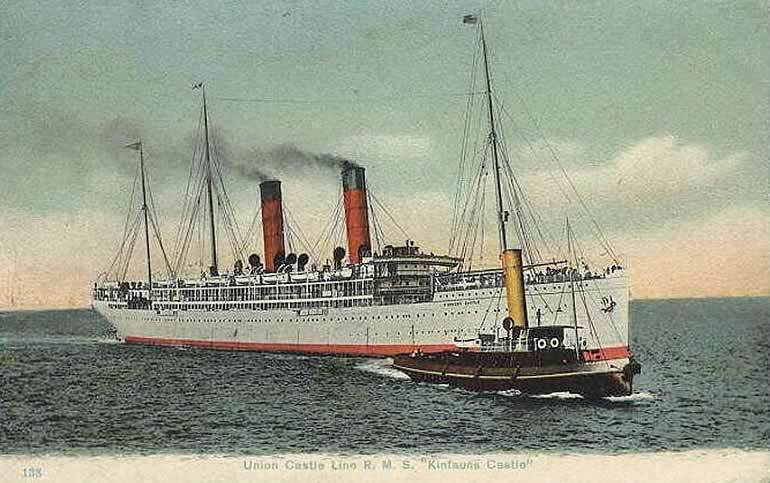 (The site of the old Harbour Warehouse that was destroyed by fire from a British warship, the armed merchant cruiser 'Kinfauns Castle' during World War 1 in 1914). 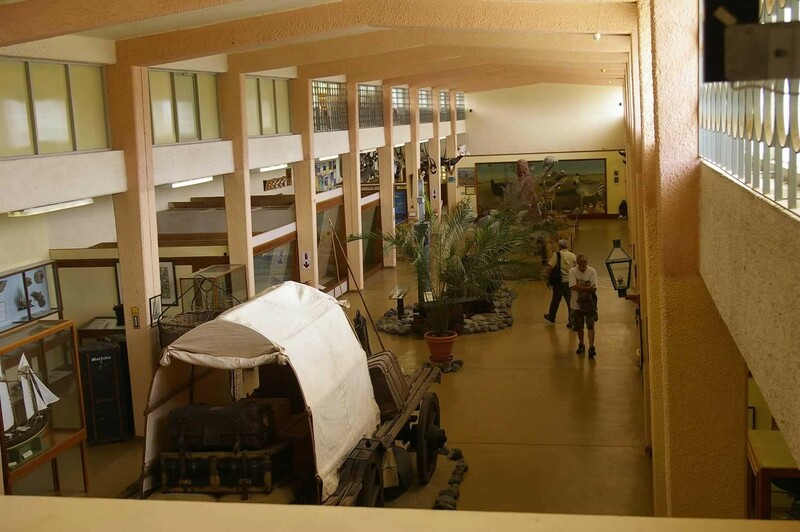 The Museum's collections are focussed on local local German history and the geography of the Namib Desert including information on local flora and fauna, the desert's eco systems and Namibian ethnology with a dedicated room about the peoples of Namibia. 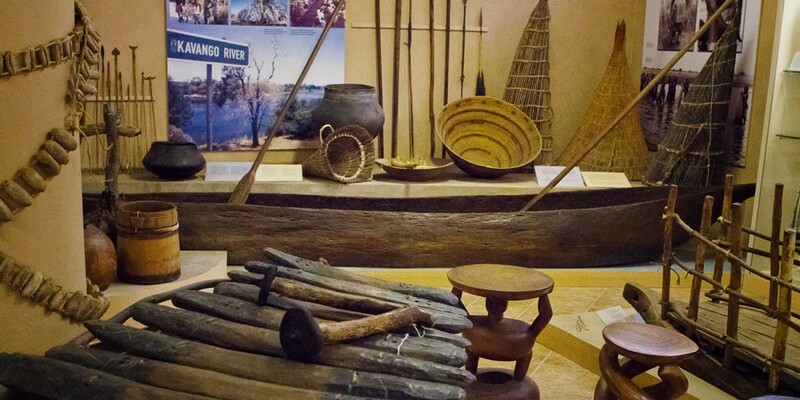 There is also an archaeology room where ancient culture is explored. 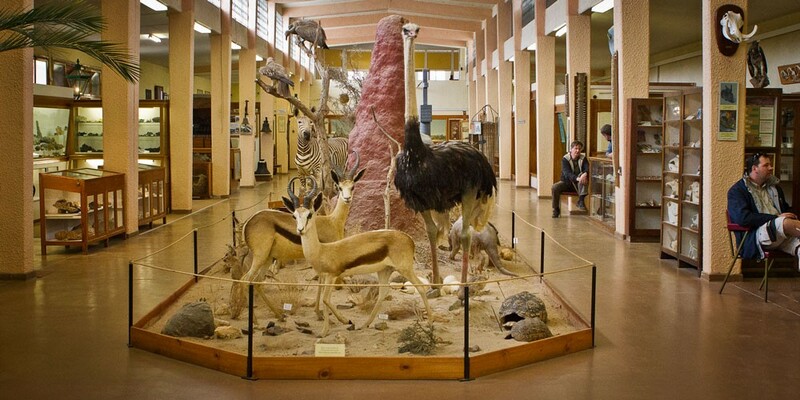 The wildlife displays include taxidermy of seldomly seen animals such as the aardvark. The the geology department include information and displays of fossils and meteorites and a collection of semi precious stones. The museum also features a reconstructed colonial home interior, a series of shops and rooms as well as a section on transport during the days of German occupation. Of military interest are uniforms of the Camel Corps and the Shell furniture, so called because it was homemade from 1930s depression-era petrol and paraffin tins. The construction of the Jetty is also covered and some of the diving gear used during construction is displayed. Modern history is an informative display on the Rössing Mine, the largest open pit uranium mine in the world. 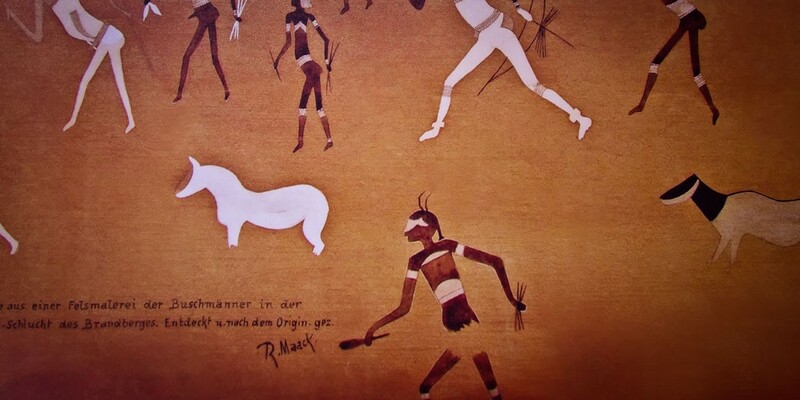 The museum shop stocks a selection of historical leaflets plus the usual choice of postcards and books on Namibia. 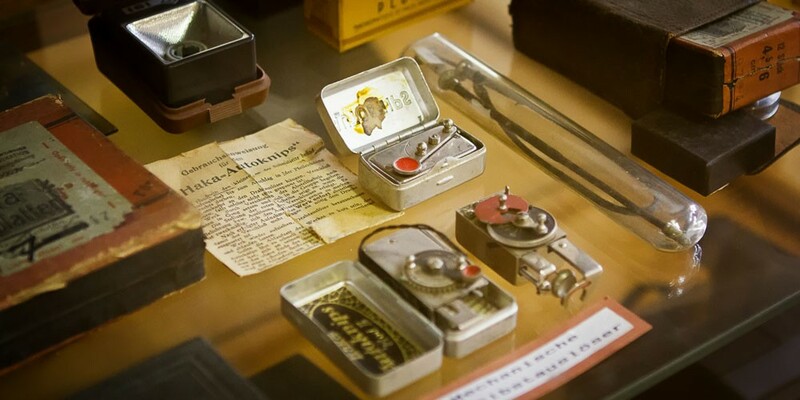 The museum is open daily from 10:00 to 17:00 and is a worthwhile visit that should be of interest to all age groups.